This vintage style pendant light is from our range of contemporary ceiling and wall lights. A large kitchen, hallway, or vintage inspired food or retail establishment would be an ideal place for this light. 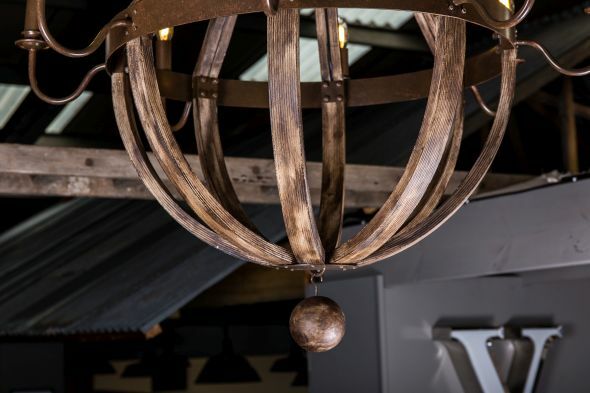 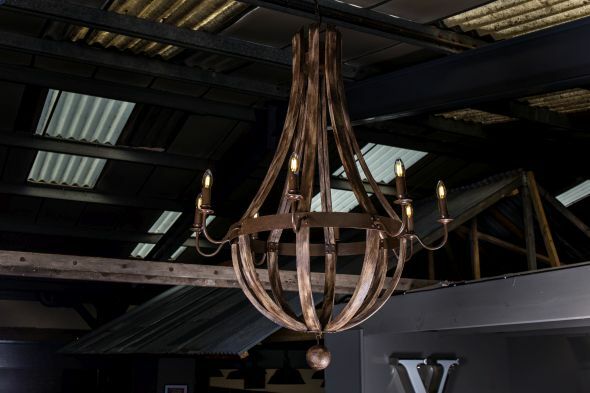 The unique chandelier light features an aged metal and steam-bent timber structure, shaped into a pear drop design. 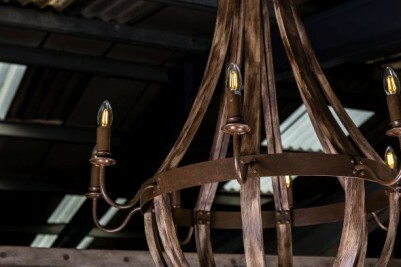 The eight bulb fittings are in a candle holder style. 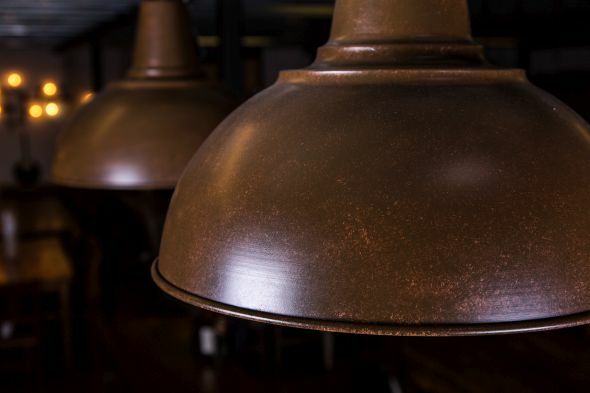 The bulb fittings are a copper/bronze colour, giving the light an aged appearance. 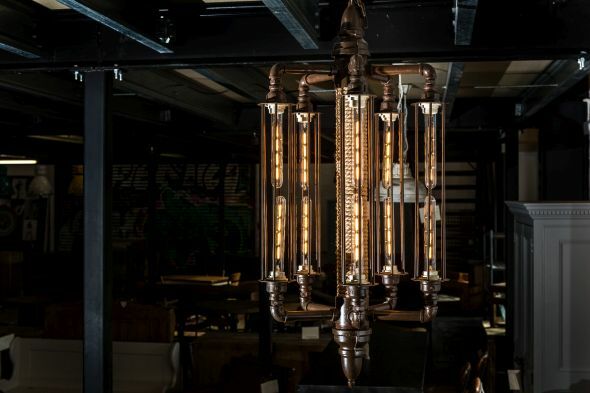 Please note that the light does require a small amount of assembly. 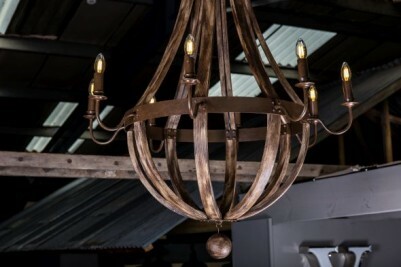 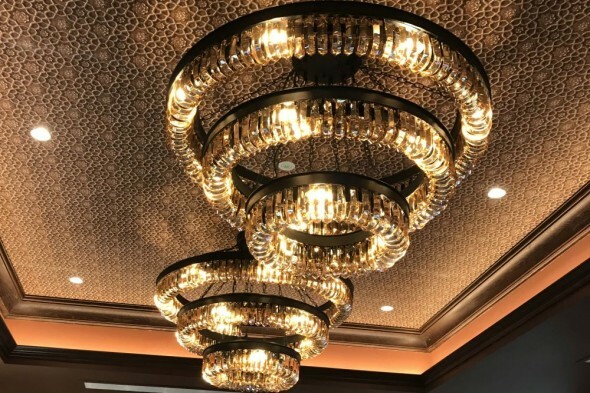 We recommend that you have this ceiling light professionally installed by an electrician. See our full range of lighting here.